Raft’s furniture is perfect for simple family dining – or for that special occasion when you’ve gone all out with the cookery books to impress. 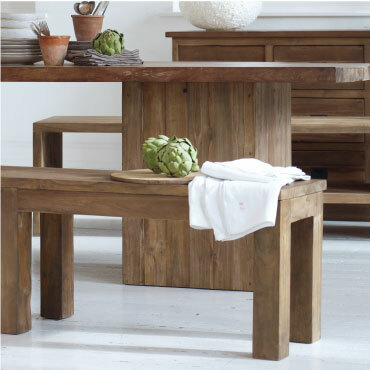 Stunning glass top tables with unique teak roots or classic rectangular and circular tables, these pieces are complemented with a range of chairs and matching cabinets and benches. Put together with friends and family, your dining room will become the heart of the house.